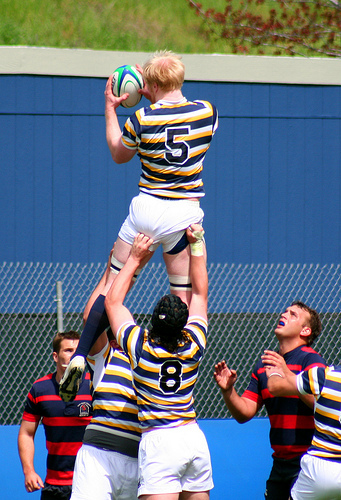 Back in September , the heads of our outstanding institution of higher learning brilliantly decided to demote our varsity rugby team , which has won an astounding 26 national championships BTW, to club status while completely eliminating our baseball team — that same baseball team that isn’t doing too bad these days either, as you might have heard . As if that isn’t enough to make those folks who cut these successful programs feel a little silly, Cal baseball coach David Esquer was just named National Coach of the Year . But we here at the Clog don’t hold grudges (well, except in the case of David Schwimmer, who can never be forgiven for playing “Ross”). We’re just happy to see these programs coming back. The lesson to be learned here: if your program gets cut, it only takes a championship run and around 9.7 million dollars  worth of philanthropic commitments to get reinstated. Easy peasy lemon-squeezy, indeed.